India's gold demand has remained moderate over last few weeks after a spike in April when prices slumped towards Rs 25000 per 10 grams in the major local markets. World Gold Council, is upbeat about the demand for jewellery picking up momentum in the coming quarters in the country and even projected demand for gold touching 865-965 tonnes in 2013, thus exceeding 2012's record. The demand from other major consuming nations like China and US remains strong. 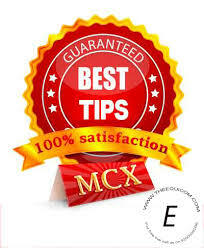 GET 100 % free trial on mcx commodity tips and stock tips tommorrow.